Ah, the great outdoors! The smell of that crisp woodland dew-filled air. The soft glow of the green plant life cascading across the forest floor. The sunny rays of light warming your skin as you walk through the trees. It all just sort of makes you want to...frolic. Doesn't it? The more time we spend outdoors, the more easily we understand why deer seem to have such a great time bounding through the woods; we’re not going to lie, we have spent a lot of time being jealous of those adorable woodland critters. 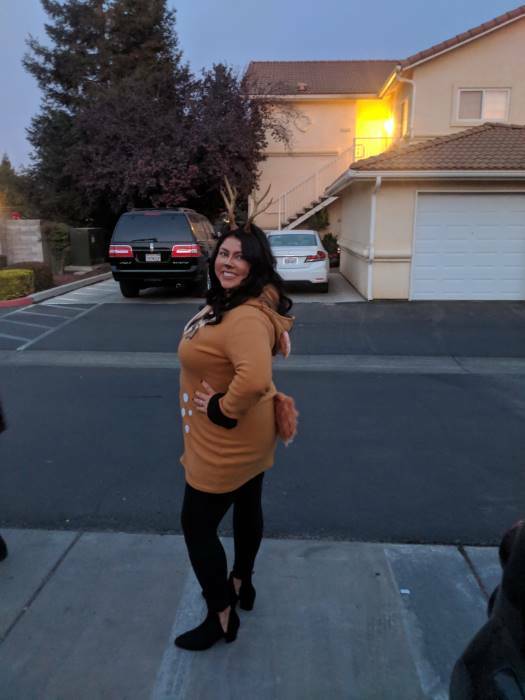 That's why we love this Cozy Fawn Costume! 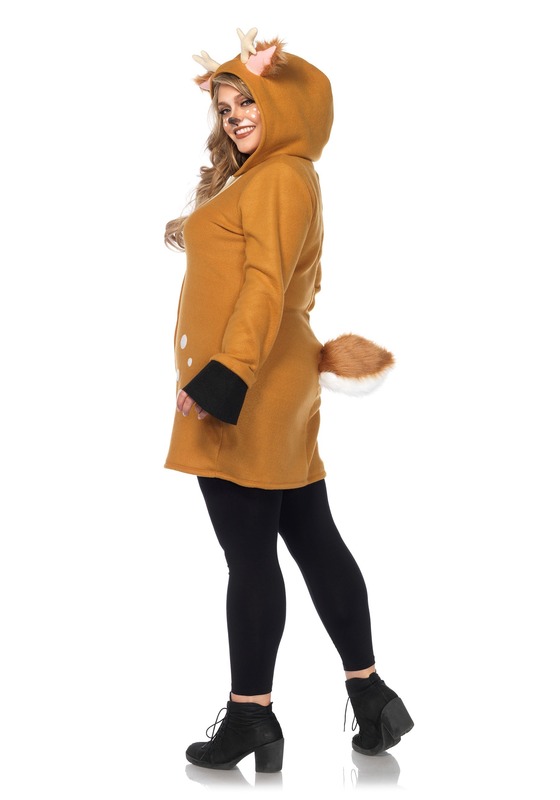 This cuddly costume is a cute and comfy outfit based on your favorite forest animal. Because we’re thinking you may be as tired of envying every deer you see as we are--it is time you turn into one and feel the exhilaration yourself! The costume has a soft construction, so wearing it all night long and into the dawn is a pleasure and not a chore. With white speckles on the front and a hood with deer ears and antlers on the top, you'll not only feel cozy, but you'll also look like one of the herd in no time! And all it takes is a quick zip in front to put it on. It's a great for anyone who wants to frolic in the great outdoors. We are actually getting one ourselves--so, we’ll see you out there beneath the trees! Perfect, comfortable, cute! Got so many compliments. The hood didn't sit quite right, but it was ok. It was too warm to wear a hood that night anyway. Beyond disappointed. Ordered a larger size, just in case. That didn't even fit. Paid extra for express shipping. Tried it on and was awful. Never will buy online again. Soft, Cozy, Comfortable & well made.